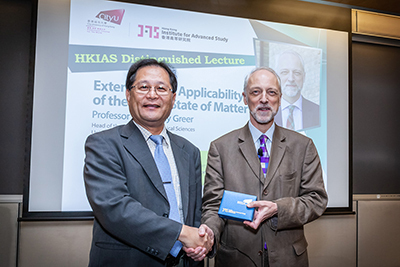 Professor A. Lindsay Greer, a renowned physical scientist, presented a distinguished lecture titled “Extending the Applicability of the Glassy State of Matter” for the Hong Kong Institute for Advanced Study (HKIAS) at City University of Hong Kong (CityU) on 11 April 2019. The Symposium on Advances in Neuroscience, which took place on March 25 and 26 at CityU, presented an opportunity to foster collaboration by highlighting the interdisciplinary nature of modern neuroscience and the possibilities for productive exchange with other areas. Such areas include genomics, engineering, computation, data science and the humanities. 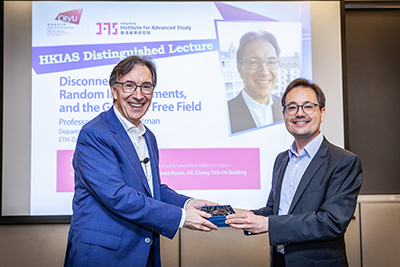 Professor Alain-Sol Sznitman, a renowned mathematician, delivered a distinguished lecture titled “Disconnection, Random Interlacements, and the Gaussian Free Field” for the Hong Kong Institute for Advanced Study (HKIAS) at City University of Hong Kong (CityU) on 9 April 2019. 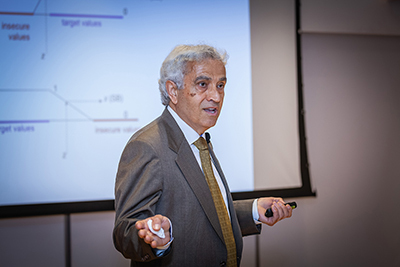 Professor Yannis A. Phillis, a renowned engineering scientist, presented a distinguished lecture titled “A Mathematical Model of National Sustainability: Where the World is Heading” for the Hong Kong Institute for Advanced Study (HKIAS) at City University of Hong Kong (CityU) on 29 March 2019. 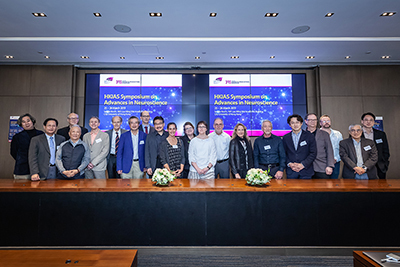 HKIAS Symposium on Advances in Neuroscience hosted by the Hong Kong Institute for Advanced Study (HKIAS) was held at City University of Hong Kong (CityU) from 25 to 26 March 2019. The symposium is organized by Professor Sir Colin Blakemore, Yeung Kin Man Chair Professor of Neuroscience at CityU and Professor Tomas Hökfelt, Professor at the Karolinska Institutet, Sweden, both of whom are Senior Fellows of HKIAS; together with Professor Jufang He, Chair Professor of the Department of Biomedical Sciences at CityU. 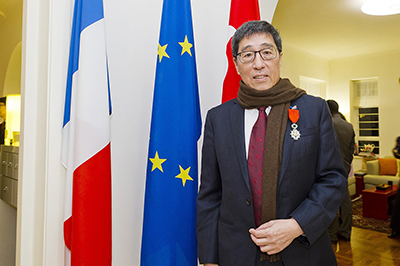 Professor Way Kuo, President of CityU and HKIAS Senior Fellow, has been bestowed the title and rank of Chevalier de l’Ordre National de la Legion d’ Honneur (Knight of the Legion of Honour). 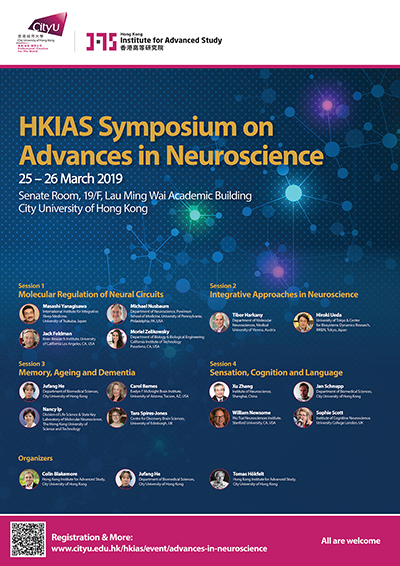 To highlight the remarkable technical and conceptual progress across the whole of modern neuroscience and encourage the collaboration of scholars at the forefront of neuroscience research, the Hong Kong Institute for Advanced Study (HKIAS) will organize the HKIAS Symposium on Advances in Neuroscience on 25 – 26 March 2019 at the City University of Hong Kong (CityU). The symposium is initiated by Professor Tomas Hökfelt, Professor at the Karolinska Institutet, Sweden, and Professor Sir Colin Blakemore, Emeritus Professor of Neuroscience at University of Oxford, UK, both of whom are Senior Fellows of HKIAS; together with Professor Jufang He, Chair Professor of the Department of Biomedical Sciences at CityU. Professor Ke Lu, HKIAS Senior Fellow, has been honored the 2019 Acta Materialia Gold Medal from the Acta Materialia, Incorporated. 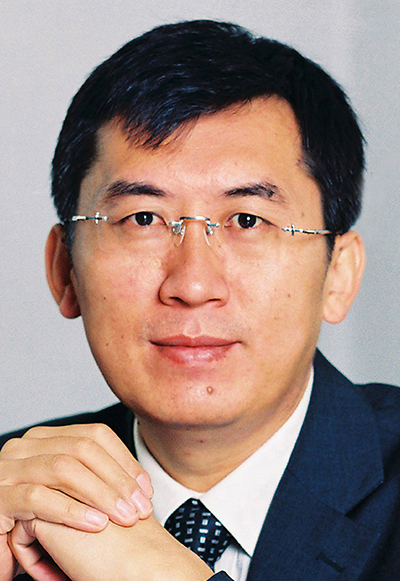 The award recognizes the outstanding achievements of Professor Lu to Materials Science. The Gold Medal will be presented during the 2019 TMS Spring Meeting and Exhibition in San Antonio, Texas. 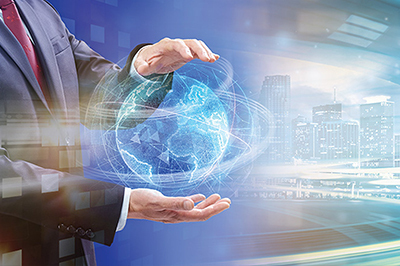 In view of global concerns regarding the environment and sustainable energy resources, the discovery of new green catalytic reactions is desirable. 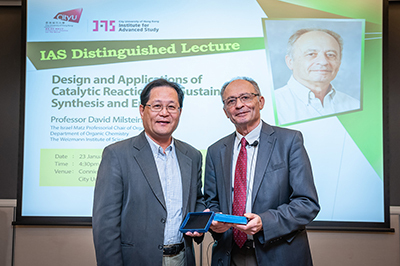 A renowned chemist Professor David Milstein delivered the distinguished lecture titled “Design and Applications of Catalytic Reactions for Sustainable Synthesis and Energy” for the Hong Kong Institute for Advanced Study (HKIAS) at City University of Hong Kong (CityU) on 23 January 2019. Now into its fourth year of operation, the Hong Kong Institute for Advanced Study (HKIAS) has seen the number of Senior Fellows shoot up, enhanced output, a recalibrated strategic direction and new premises for galvanising intellectual thought leadership across campus and further afield. 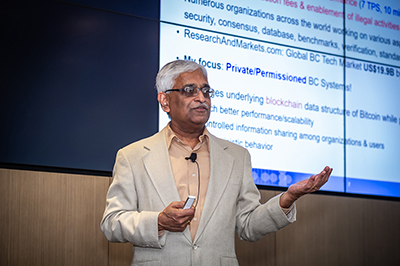 Renowned computer scientist Dr. C. Mohan delivered the distinguished lecture titled "State of Public and Private Blockchains: Myths and Reality" for the Hong Kong Institute for Advanced Study (HKIAS) at City University of Hong Kong (CityU) on 11 January 2019.